If you happen to see a glass box encasing a forest of sorts along Orchard Road as you pass Mandarin Gallery towards 313 Somerset, know that your eyes aren’t playing tricks on you. That’s because H&M is finally unveiling its fragrance collection in a pop-up called House of Notes Beauty Greenhouse that will only be there from today till this Sunday (10 to 14 October 2018). 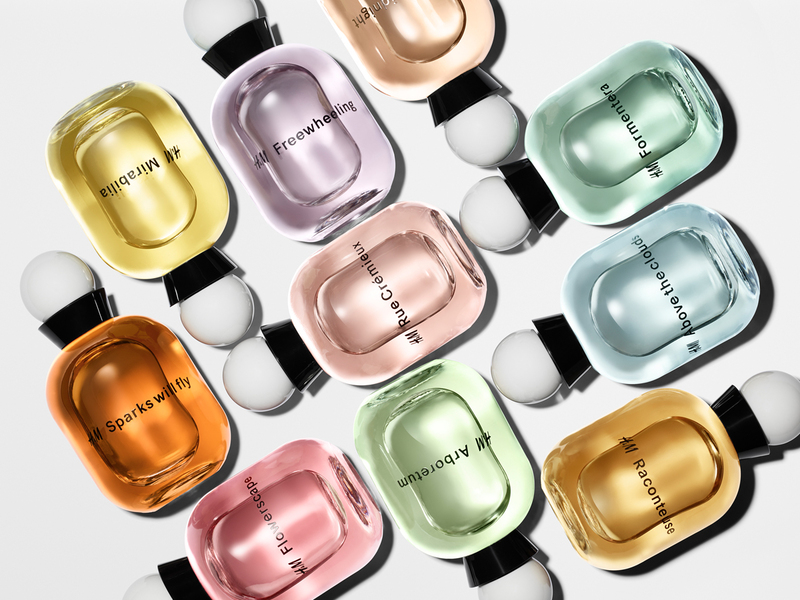 A space where you’ll get to soak in the immersive installation that promises to take you on an olfactory experience like no other, H&M Beauty isn’t just unveiling one scent either, there are actually a whopping 25 scents spread across 3 different lines for you to choose from. Created in collaboration with Swiss-based Givaudan, what’s also great about H&M’s fragrance collection is that none of the fragrances cross the SGD50 mark, making them fun, wallet-friendly gifts for family and friends, but also more importantly, a good excuse for you to indulge a little without feeling like you’ll be in debt for another 3 months. The entire collection is split into 3 well-defined groups, starting with The Singles, which are composed of 10 different scents that revolve around one single note. 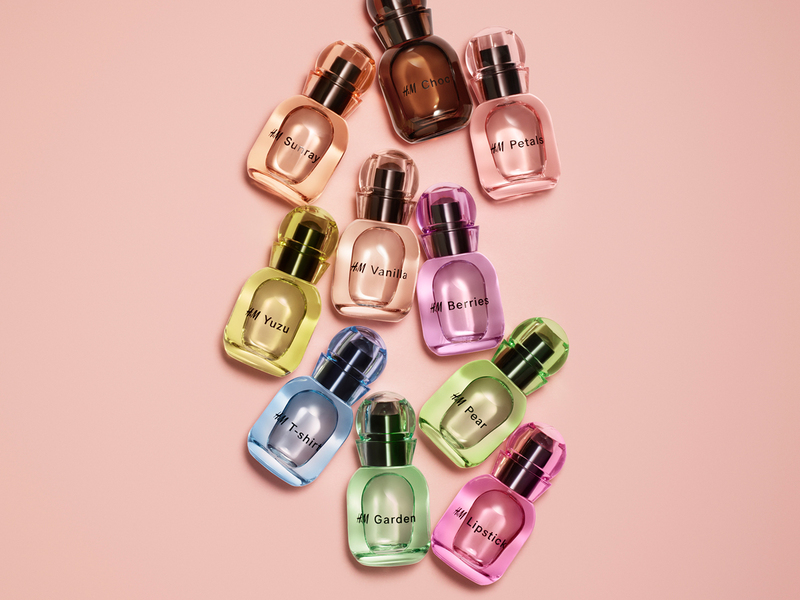 Expect to find scents like Berries, Choc, Pear, Vanilla and Yuzu which come in a 20 ml EdT bottle that’s priced at just SGD9.95 each. And as the name suggests, these are scents that can be layered with another to create a unique scent that’s special to you. Then there’s The Reveries (another 10 scents), which feature a mix of blended fragrances aimed at conveying a feeling or telling a story. With catchy names like Above The Clouds, Flowerscape, Freewheeling, Sparks Will Fly and Way Past Midnight, you can find these scents available in a 75 ml EdT that’s priced at SGD24.95 each. 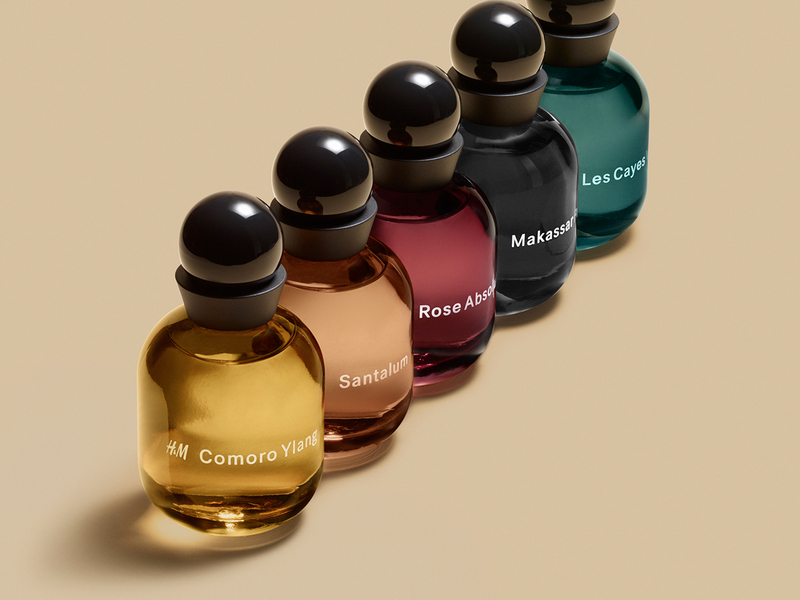 Rounding up the collection are five more under The Essences, which promise to be more complex, with the use of quality ingredients like patchouli, rose or sandalwood. Expect to find scents named Comoro Ylang, Les Cayes Vetyver, Makassar Patchouli, Rose Absolute and Santalum available in a 50 ml EdP priced at SGD44.95 a bottle. See? Nothing above the fifty dollar mark. Aside from getting the chance to explore the all-new fragrance collection, you will also find other beauty products on site, and know that H&M is offering 20% off a second item purchased with each fragrance, which makes everything even more tempting. Happening from 10 to 14 October just outside Mandarin Gallery, you will also be able to find H&M’s fragrance line only at H&M Orchard Building, ION Orchard, JEM, Suntec City and Vivo City from 11 October 2018.